Colourful creative. Experience explorer. Performance artiste. Every client wants it, though hasn’t the foggiest how to do it. Experience design, that is. Thankfully Lauren, our experience design director, can show you how it’s done. Lauren completed her Masters in Spatial Design Architecture at Massey University before realising the full extent of her talents overseas. 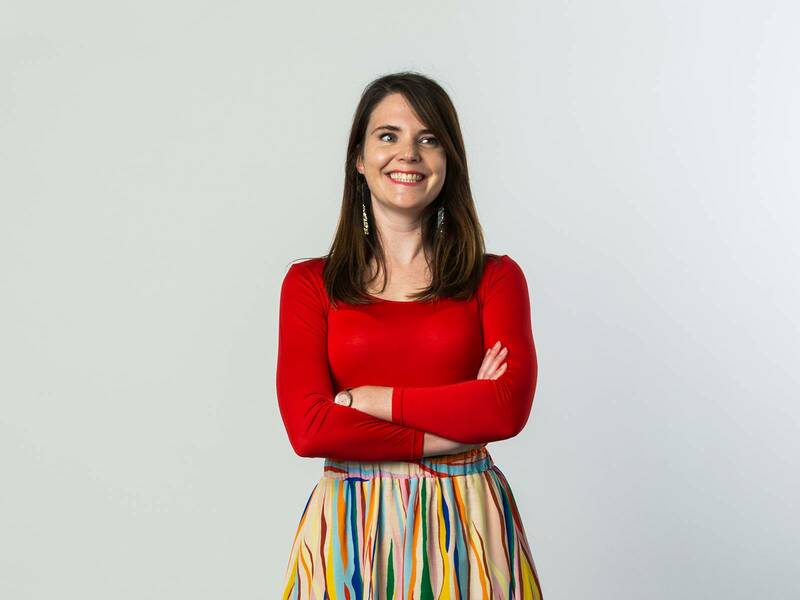 She’s designed experiences at digital agencies across Australia and the UK, including London’s University of the Arts. Before returning to New Zealand, she refined her practice at Isobar in Melbourne, rising to become their associate design director. Lauren is a performance artist who has worn a 10-metre-long red dress through city streets all around the globe. When she’s not designing experiences or dazzling pedestrians, you’ll find her painting watercolours and crafting furniture. Or, dreaming up her next art project.